A showroom for Herman Miller within one of it’s West Michigan facilities, the Pavilion displayed products and exhibits in an innovative way. 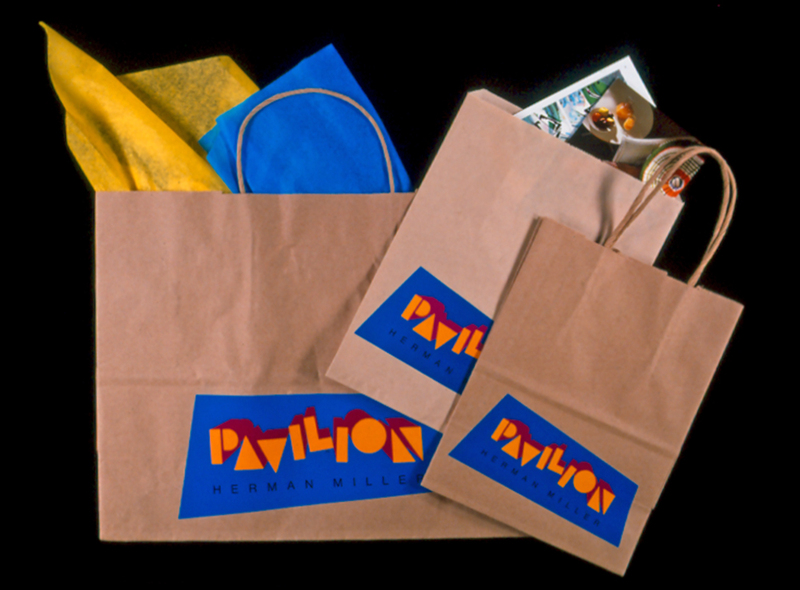 An identity that was developed for the space included a wordmark, entrance sign and 12 banners, neon sign outside the cafeteria, and a store where product literature was available. 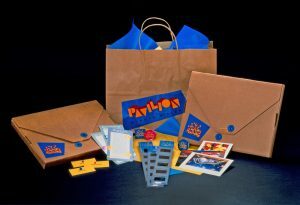 Packaging was available for amenities such as scale model trucks, postcards, slide strips, and T shirts that were purchased. Information cards were posted by each product display, and nametags and buttons were given to visitors. Bright colors and simple geometric shapes were carried throughout the identity system. Paper/Material Brown kraft bags. Corrugated cardboard box. Gloss coated pressure sensitive stickers. Techniques Pressure sensitive stickers were put on off-the-shelf bags and boxes to keep the cost down. Stickers, Information cards, buttons, nametags, and postcards were offset printed.